The BBS RN Wheels and BBS RY Wheels are JDM Wheels made in Japan by BBS Wheels. The BBS RN are double 10 spoke mesh wheels and feature one piece construction. The BBS RY are two piece wheels, and also feature a double 10 spoke mesh design. 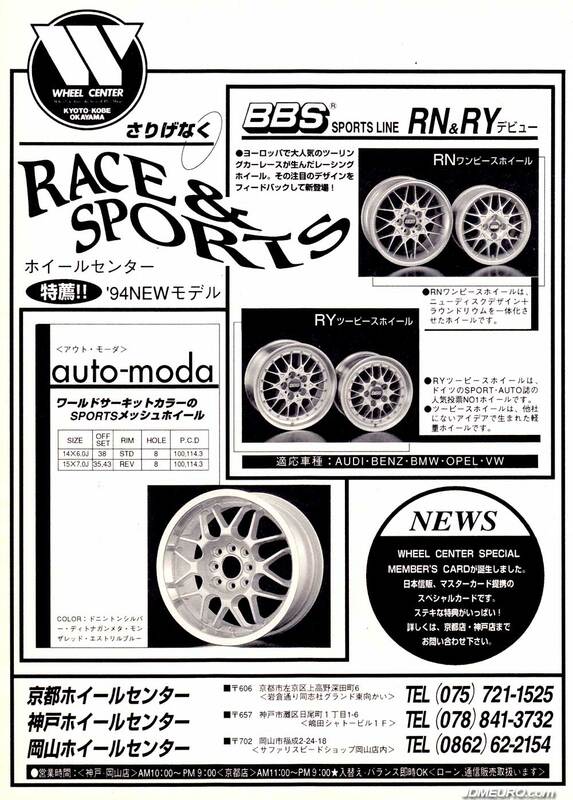 Most people associate BBS Wheels as being made in Germany, but as a certain point started manufacturing some of their aftermarket wheels in Japan. Also Pictured are Auto-Moda Wheels.